Alibaba Group Holding Ltd. (NYSE: BABA) stock has fallen 25% in 2015. Today, it hit its lowest value to date at $77.77. As the company prepares to announce quarterly and fiscal-year earnings on Thursday, May 7, now is one of the best times to buy Alibaba stock. Money Morning experts are extremely bullish on BABA stock now. In fact, Money Morning's Defense and Tech Specialist Michael Robinson recently said Alibaba "could be the single-greatest wealth opportunity of our lifetime." President Barack Obama will be forced to make some kind of decision on the long-delayed Keystone pipeline within the next few weeks. A Dec. 6 runoff election for a Louisiana Senate seat pushed a Keystone pipeline vote to the top of Washington's "to do" list. Both houses are expected to approve the legislation and send it to President Obama. At that point, the president will no longer be able to delay a decision. With two e-commerce titans in a struggle right now, and the two moving in different directions, here's something you might want to consider: buy Alibaba and sell Amazon. One of our veteran traders told FOX Business viewers this is the way to go. 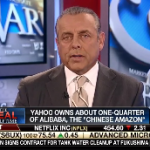 Our stock expert Shah Gilani appeared on FOX Business' "Varney & Co." Wednesday afternoon to talk about Alibaba stock, which is expected to debut on the New York Stock Exchange on Friday.